Enterprise Health Chief Product Evangelist Rich Hammel’s career has been longer and more distinguished than the list of professional titles following his name (MD, MPH, FACPM, FACOEM). With a past that includes the likes of Procter & Gamble, Methodist Occupational Health Centers (Indianapolis), Duke University Medical Center, and the Centers for Disease Control and Prevention (National Institute for Occupational Safety and Health), he is now transforming his career inside the occupational health space to one on the outside — helping Enterprise Health provide an occupational health software solution in a more effective and comprehensive manner. Here Rich discusses how he arrived at Enterprise Health, how his experiences uniquely prepare him for this role, and how Enterprise Health has anticipated needs and innovated occupational health solutions for large, multinational organizations. How has your first year been at Enterprise Health? It’s been terrific. I’ve been spending time getting up to speed fully understanding Enterprise Health as an application and a product. I talk with clients to learn their current needs and concerns, and communicate what is happening with Enterprise Health — both now and down the road. I’m privileged to listen and learn what enhancements clients want and need “straight from the horse’s mouth.” I’m using this information to work with Enterprise Health leadership on building a product roadmap for the 2019 calendar year and beyond. My 33 years of experience in occupational health, including 25 years in a corporate setting, give me a unique lens to evaluate how these enhancements can be integrated into electronic employee health records in general, and how they can potentially improve the Enterprise Health solution. You had an illustrious career at Procter & Gamble. Why did you decide to leave and come to Enterprise Health? In 2017, Procter & Gamble was going through a multiyear reorganization. After 25 years, in December 2017, I got the opportunity to retire. However, I decided I wanted to continue working. So, after evaluating several job options prior to leaving Procter & Gamble, I decided to make a career change. I developed a plan to study clinical informatics and explore opportunities in this field. Shortly after I made this decision, I had the chance opportunity to meet Enterprise Health president Jeff Donnell when he came to Cincinnati for an initial meeting with Procter & Gamble. I told Jeff that I would be retiring at the end of December, and he mentioned that Enterprise Health had recently been kicking around the idea of hiring an occupational medicine physician to work with them on the occupational health software provider side. I told him that if Enterprise Health was ready to develop a position requiring occupational medicine knowledge and experience, I would definitely be interested in discussing the opportunity further with him. Jeff arranged a series of follow-up calls with Doug Horner, founder of Enterprise Health. They were in need of someone who could bring an “inside baseball” point of view to help refine current functionality and define future development. Our visions aligned, the fit was good, the people I met at Enterprise Health were terrific, and I accepted the role of Chief Product Evangelist. As Chief Product Evangelist, what do you see as Enterprise Health’s strengths in bridging the gap between IT and occupational health? Occupational health is being appreciated more and more as hospitals and health systems are struggling to demonstrate a return on investment. Those systems see occupational health as an additional revenue stream outside of the traditional healthcare payment systems of private insurance and Medicare/Medicaid. The Health Information Technology for Economic and Clinical Health (HITECH) Act created during the Obama administration gave financial incentives to hospital systems to purchase and implement electronic health record systems. But the money poured into those incentives only netted adoption of minimum standards with traditional EHR technology. It first became more about additional revenue streams for hospitals, and then about the avoidance of penalties. All this while the electronic health records systems they were using weren’t necessarily setup to efficiently and effectively handle occupational health practices and their unique needs and outcomes. Instead they were set up to document adherence to mandated Meaningful Use requirements. This is where Enterprise Health shines. A system designed from the ground up with employee health in mind — and with direct input from Fortune 500 companies who understand and expect that their health IT investment needs to deliver results. Are there some key occupational health issues you’ve identified already?? A key issue is understanding that different employers have different needs in their respective workplaces. That when an employee gets injured, care is based on what the employee can and can’t do because of that injury, and how it impacts what and how much work they can do. And this can differ within an organization from site to site. The needs of an office worker are different than the needs of a forklift driver. Enterprise Health knows and accommodates these nuances. Communication and fluidity of data is another issue. Most traditional electronic health records systems are not designed to play well with others. Walls are built to silo data, making analysis and reporting cumbersome, if not impossible. Enterprise Health is designed to be interoperable, so other systems (e.g. HR systems, environmental health and safety applications, workers’ comp insurance systems, medical labs) and devices (e.g. audiometers, spirometers) can securely integrate and let the data do what it should — paint an accurate picture of employee health on both the individual and macro (organization) level. What does the future of occupational health look like, and how does Enterprise Health fit into that picture? So how do companies steer towards a healthier future? 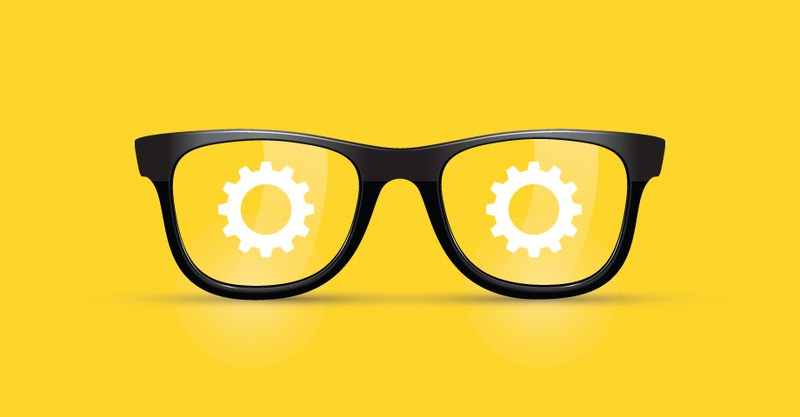 A key aspect organizations must address is employee engagement. Of course you want employees engaged with their work. But employers need employees to also be engaged with their health. If you’re having health problems — be it diabetes or just generally not taking good care of yourself — you’re probably not fully engaged at work because you’re dealing with the adverse effects of said health problems. We call this presenteeism. It’s taking brain space, and ultimately time physically away from work in the form of absenteeism. Employee health and wellness will only become more and more important, and companies will need to invest in resources that help keep employees productive and on the job. This is also critical to company culture and morale. The regulatory compliance piece — being able to manage different legal requirements in different operations and geographic settings — should be the low-hanging fruit. What features make Enterprise Health stand out? Enterprise Health is a global solution. Our language integration system supports different languages, and the company has a footprint across multiple geographies. That allows us to form relationships with large, multinational companies because they can use the same system across their locations worldwide. Enterprise Health can be configured to work in different countries with slightly different occupational health regulations, while still maintaining standard corporate workflows. A system that’s flexible enough to handle a continuum of needs is an essential component of our success with these blue chip organizations. 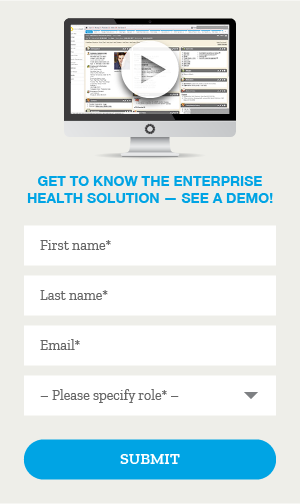 What do you want people to know about what Enterprise Health? That it’s the only comprehensive health IT solution that combines occupational health and compliance, employee engagement — and is a certified electronic health record — on a single, interoperable cloud-based platform. That’s a mouthful, but it says a lot. It’s the first solution I’ve seen that delivers on what it promises — to equip enterprise clients and their employees for a healthier future.